At the Wells Foundation, Tony R. Wells and his team work on varied community projects to help people and kids deal with impairments and physical problems. Using modern tools and technology, they saw an opportunity to help kids with speech delays. The opportunity involved creating a platform where therapists, teachers and, parents can support kids who have speech delays, and help them communicate easily and rapidly through various tasks and visual activities. Sunflower Lab worked with the Wells Foundation team to help create their idea. 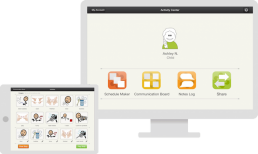 The main feature of Citra was to connect the entire care team and share even the most minute details to improve on speech delay in kids. Real-time communication using features like sharing notes logs and communication boards helps the team collaborate and get instant notifications of details updated by other team members. The entire staff is very professional, active communicators, and detail-oriented, ensuring they had a thorough understanding of our needs. The app not only helps the care team communicate and share details but also helps the kids in improving their speech delay. 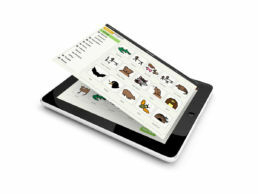 With a library of more than 17,000 images, kids can easily communicate with the care team. This library is also enabled with a voice-over which helps these kids with proper pronunciations. Every conversation was well-documented created tremendous confidence that we had alignment on expectations and deadlines. I plan to use Sunflower Lab on future projects and would not hesitate recommending them to others. Teachers and therapists can create and assign tasks and lessons to kids while parents can view them and help their kids complete the lessons. Whenever kids complete a lesson, they get an “achievement” which motivates them to continue engaging more actively on the platform.